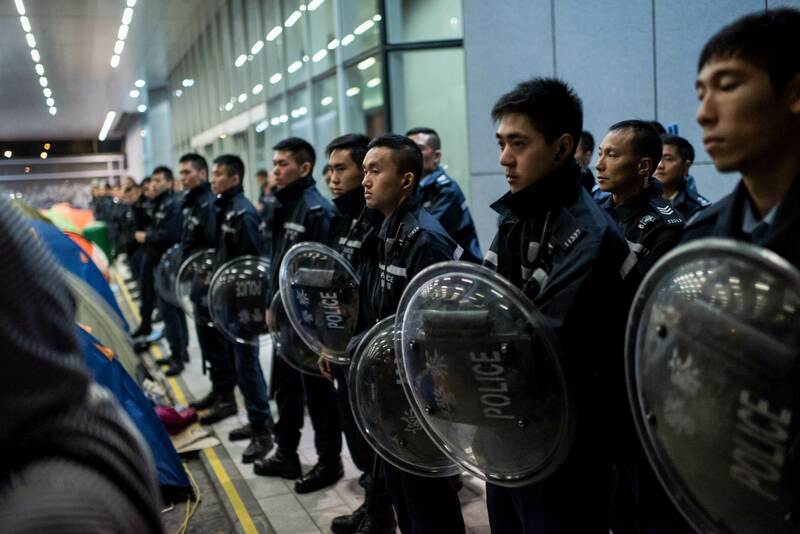 Hong Kong police clashed with a small group of protesters who tried to break into parliament early on November 19. Protesters used metal barricades to break down a side door at the Legislative Council building (LegCo). The incident happened hours after bailiffs and police peacefully cleared a section of the main protest camp. Protesters calling for full democracy have occupied three key sites in Hong Kong for nearly eight weeks. Dozens of young protesters, some wearing masks, tried smashing in the door shortly after 01:00 AM. Some reportedly managed to enter the building. Riot police warned protesters to stay back, using red flags, and later used pepper spray to push them back. There were repeated attempts by protesters to enter the building throughout the night, but they appeared to retreat by daylight. Democratic lawmaker Fernando Cheung, who was among a group of people who tried to stop the protesters, told Reuters that it was “a very, very isolated incident” as the movement had been peaceful so far. The police said they arrested four people, while three officers were injured. Some protesters said that they attempted the break-in because they were angry about the earlier clearance of part of the main protest site at Admiralty. Tuesday’s clearance in front of Citic Tower came after the building’s owners were granted an injunction by the high court. An injunction has also been granted for the clearance of roads at the Mong Kok protest site. The South China Morning Post says hundreds of police are on standby to clear that site as early as Thursday. A third protest site remains at Causeway Bay. The protesters have been on the streets since early October to demonstrate against a decision by China to screen candidates for Hong Kong’s 2017 leadership election. Numbers were originally in the tens of thousands but have fallen to a few hundred.